Deception Point is a Corgi Books publication written by Dan Brown. Like Dan Brown's other novels this book too looks at the possibility of truths behind conspiracy theories but not of the ancient world as in Robert Langdon series but the mysteries of modern world. 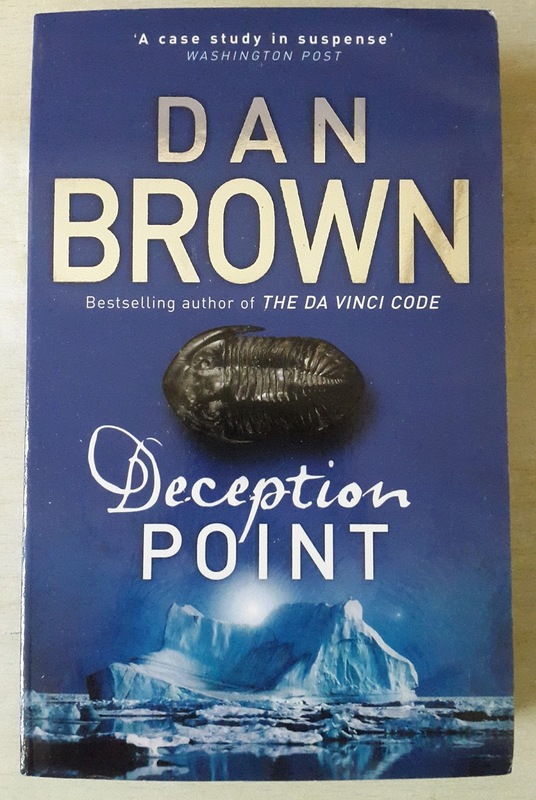 Cover: The cover is similar to other Dan Brown's book, snow mountain in the background is indication of the set up of mystery and a creature like black image in the foreground at the center of the book is part of the mystery explored in the book. But mainly the cover has Dan Brown's name covering half the book which was enough to generate reader's curiosity. Plot: President of United States Zach Herney summoned Rachel Sexton who was an analyst at National Reconnaissance Office, Washington and also the daughter of his competitor Senator Sedgewick Sexton to confirm a NASA discovery. Senator Sedgewick Sexton was attacking president Herney for bailout packages to NASA in spite of failure of its program, Rachel he thought would be a great asset to verify this discovery along with some famous scientists including television celebrity oceonologist Michael Tolland. A discovery which would change our views about earth and universe have some faults discovered by Rachel, Tolland and other scientists. But before they could confirm their theory and tell the world about this deception some unknown soldiers tried to kill them. NASA director, President Herney or someone else, who was trying to kill them to hide the greatest deception of all times. A heart-racing thriller would answer all your questions and glued you till the end. 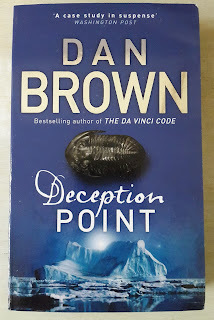 Review: The book is fast paced thriller which keeps you engrossed once you reach its threshold point unlike other Dan Brown novels I have read which keep you on the edge right from the opening sentence. The pacy thriller has a slow start but author make up for it with action packed scenes and a nail biting finish. I liked how he used the conspiracy regarding extraterrestrial life with American politics giving it a touch of reality. The narration is so that all happenings stand clear in front of your eyes. I feel story lacks conviction he had in his other books or reading/knowing about much bigger alien theories made this story simple for me. Overall impact of the story is great and you enjoyed reading it. Verdict: A treat for thriller lovers. Great book to explore political ambitions and scientific advances.